Do you watch foreign language films often in VLC Media player and then just when you start watching it you realise that you have to find subtitles! Then begins a battle of searching subtitles for your movies or the TV series videos. By the time you are finished searching for the subtitles on the web it might be possible that you get a call from someone about some work or may be you are already bored. 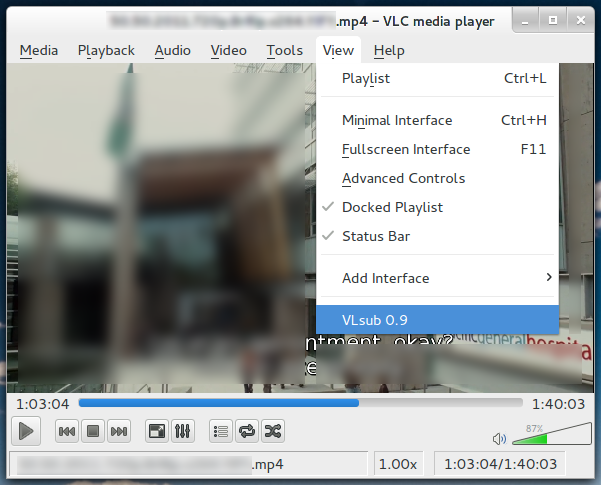 Well, here is one very cool plugin for VLC VideoLan media player called VLSub that does the task of searching for subtitles online automatically. Not only this, after you select the subtitle from the options you are presented with, VLSub with also add / apply the subtitles in the movie from whichever part of the movie you are watching it. How To Install VLSub - Subtitles extension for VLC Media Player? 4. Now, hit the search by name button in the VLSub extension and you will be shown a list of possible Subtitles (SRT) for the video that you are watching. All you need to do is choose one of the options from the search results and you are done. The subtitles will start showing up instantly at the bottom of your movie. Please let us know in the comments section as to how you like this new VLSub extension.